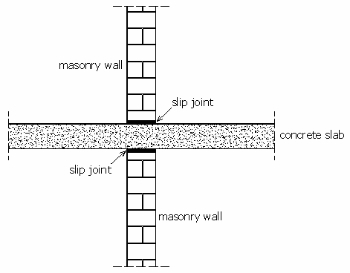 A typical load-bearing masonry building is composed of masonry walls and concrete floor diaphragms (Figure 1a), with the masonry walls supporting the slabs and acting as the main structural element resisting the lateral loads. 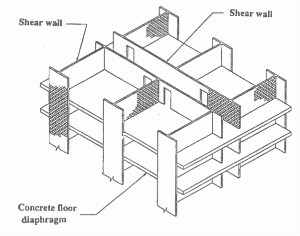 In Australia, these buildings incorporate slip joints, which are placed between the walls and floor slabs (Figure 1b), to allow for long term differential movements between the walls and the slabs. This form of construction creates a challenge for earthquake and wind design, as clear load paths need to be established for lateral forces despite the limited shear capacity of the slip joints whose design has been governed by serviceability requirements. Development of simplified design procedures for loadbearing masonry buildings.